How painful and frustrating is it to stop working on a new hardware design because the component you need to add isn’t already in your parts library? Not only do you need to switch your train of thought from being creative to being meticulous in transcribing the part details and designing a symbol and footprint, but you’re also aware of the fact that you’re going to have to check and re-check to make sure you did it 100% perfectly. Since the design work and the sanity check are both prone to human error, there is a tremendous inherent risk involved with the undertaking of adding and using a new part. This makes the whole process tedious and cumbersome, but necessary. The first thought that then runs through your mind is, “Can I offload this work?” Of course, if you work for a large company with a big budget, you can just tell some intern to design the part for you, or outsource it to a company that specializes in part creation, but you’re still groaning inwardly at the prospect of re-checking the design once it is done. Finding an online parts library to download will also sometimes save you some time, but again, re-checking the parts is necessary to maintain your sanity, especially from a mysterious online source. Most people don’t have those luxuries, and if (and invariably when) they make a mistake and manufacture the PCB they have to eat the cost of a re-spin, delay shipping their product and have a difficult conversation with their manager. Re-spins take time, cost money and as a result kill thousands of dollars in profit. This makes the risk of a re-spin kill a manager’s sleep. This puts pressure on the design engineer to attempt to avoid that risk by spending more time manually re-checking designs and kills his or her life. Working as a hardware designer tasked with designing parts is akin to working as a court stenographer, except even they are being automated out of business. Maybe there are some easier “parts problems” to tackle… Like, why do we share part data sheets and not the designs for the schematic symbol and PCB footprint? Or, if I go to the effort of finding the data sheet, why can’t my software magically create my part for me? A standard file format is probably not in keeping with the business model for part suppliers or the various desktop EDA tool companies. Speaking of which, why are so many people still using desktop software for this? If more designers used a cloud-based tool that made collaboration and sharing this kind of information easier, wouldn’t that be a good first step? In that collaborative forum, we could keep track of how many times a certain part was used which would give a numerical value to the risk in using the part design, saving time spent on re-checking it. There has to be a better way. A large majority of innovation has been centered around the idea of eliminating human error to drive efficiency and cost savings. Automated textile manufacturing in the 18th century helped drive the industrial revolution. “Spell check”, something almost everyone with a computer takes for granted, first arrived on personal computers in the 1980s. 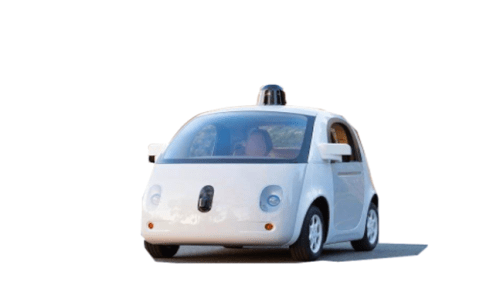 Google is now creating self-driving autos that eliminate the human error from driving a car! You’d think we could figure out a way to eliminate human error from designing schematic symbols and PCB footprints! Self-driving cars? Yes. Verified Parts Creation Service? No. What do you think? Does designing new components irk you the way it does me? Do you find the work of designing a new part empty, hollow, tedious and wasteful? Do you lie awake at night worrying if the pads on the PCB footprint you (or your intern) created are the wrong size?